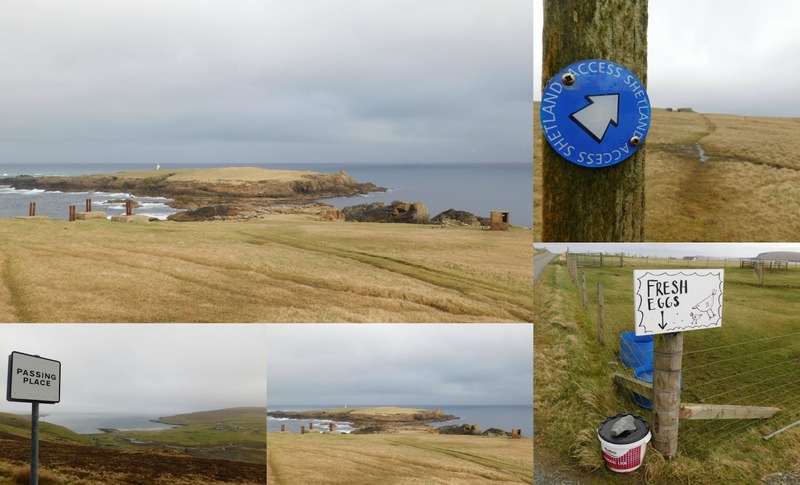 Part 2 of our Edible Shetland Adventures with Northlink Ferries took us to Unst, St Ninian's Beach, South Mainland and Northmavine. 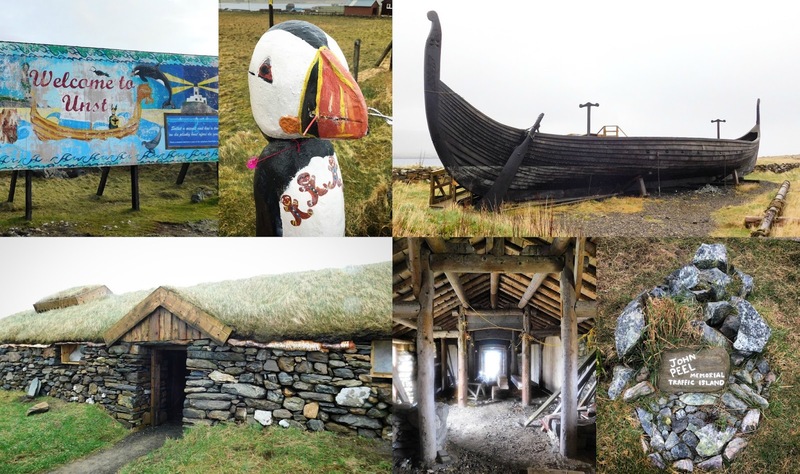 Here we discovered Shetland Reel Gin, Puffins, Ponies, Frankie's Fish & Chips, The Scalloway Hotel, Honesty Boxes, Geocaches, Vikings and a Vintage Tearoom. 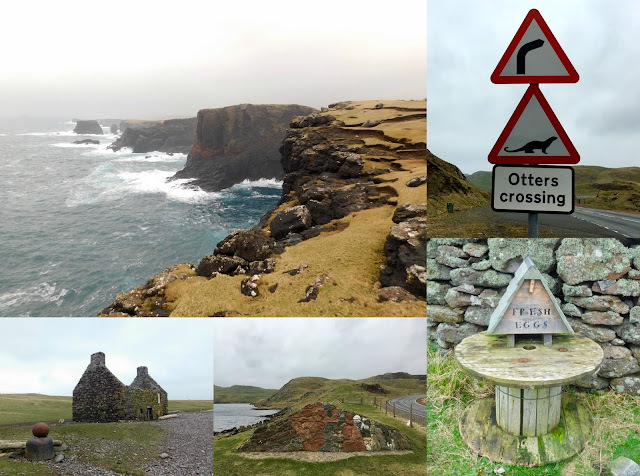 I've already shared the details of our journey to Shetland with Northlink Ferries, accommodation at Self Catering Shetland and our first day spent in Lerwick so now it's time to discover our adventures elsewhere on Scotland's most northerly Island archipelago. My friend Elizabeth - the UK's most Northerly food blogger at Elizabeth's Kitchen Diary provided us with a fantastic 4 day itinerary for our trip and Day 2 saw us rising early to head even further north to Unst - The Island Above all Others - which is the most northerly inhabited isle in the UK. This entailed a 45 minute drive from Lerwick to the Toft ferry terminal where we boarded the ferry quite literally as they were closing the doors! Then a 30 minute drive through Yell to board a second ferry to Unst. Along the way we managed to bag a few geocashes, breakfast at the Final Checkout Cafe, pay homage to the Unst Bus Shelter and visit Skidbladner viking ship and longhouse. 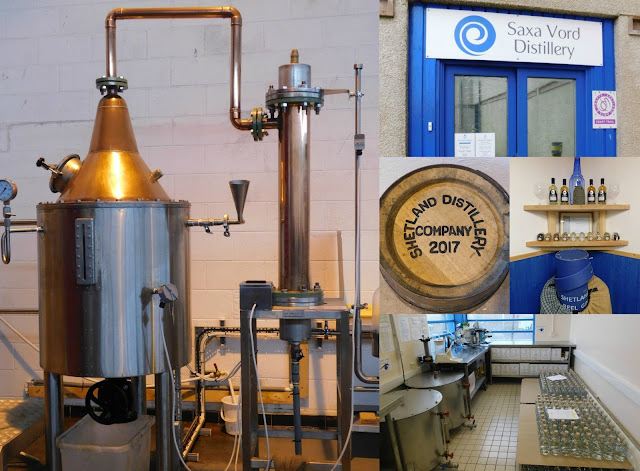 All that before the main attraction of a visit to Shetland Reel Gin Distillery. 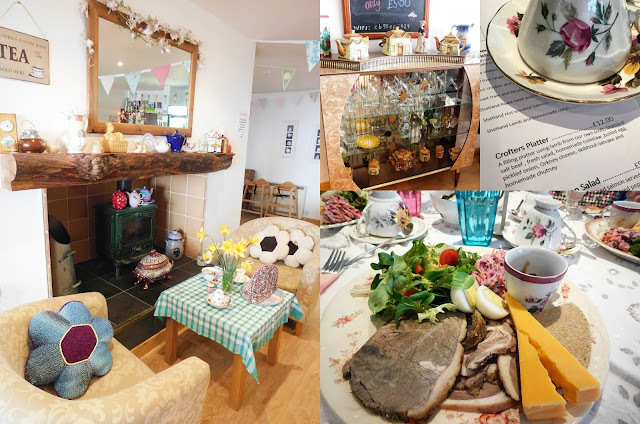 For lunch we headed to Victoria’s Vintage Tearoom which couldn't have been more up my street. Vintage combined with local produce is always going to be a winner. Three of us opted for their Crofters Platter of local lamb and salt beef, salad, coleslaw, hard boiled egg, pickled onion, skibhoul oatcake, Orkney cheese and homemade chutney. Perfectly washed down with a pot of tea served from a chintzy teapot. The plan from here had been to head to Britain’s most northerly tip at Muckle Flugga however the weather was somewhat blustery and we feared being blown out into the ocean. Instead we headed to Norwick and Skaw for some beach and cliff exploring. Cobwebs blown away it was time to head back to mainland Shetland but not before a quick stop off at Britain's most northerly Post Office in Baltasound to send a Postcard to Granny. Two more ferry journeys (no charge heading south!) before we passed Sullom Voe, Europe’s largest oil processing plant enroute to the award winning Frankie’s Fish & Chips. I simply couldn't resist the mussels with blue cheese and bacon. 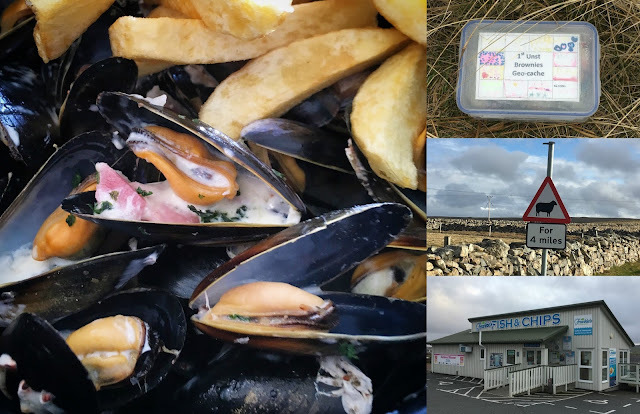 Chippy chips to soak up the unctuous juices certainly beats skinny frites. Day 3 saw us packing a picnic and heading to the South Mainland in search of Puffins - or Taamie Nories to give them their Shetland dialect name. A few more caches enroute, the excitement of finding our first trackable and a couple more familiar haunts of DI Perez before we reached St Ninian's beach. 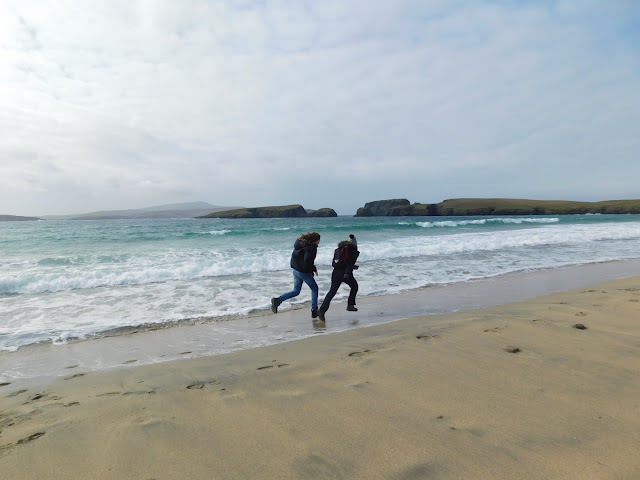 Here we walked over one of the finest tombolos in Europe to St Ninian’s Isle where we watched kite surfers, visited the chapel and picnicked in a sea cave. It really is a magical place with spectacular scenery which includes the somewhat spooky symmetrical sweeping beaches facing north and south. Elizabeth had warned us that we were perhaps a couple of weeks too early for successful Puffin spotting however we crossed our fingers and headed further south to Sumburgh Head. To do this we had to drive across the runway at Sumburgh Airport - the only place in Europe beside Gibraltar you can do this! We were rewarded with the magical sight of Puffins on the cliffs which made a fantastic day out even more special. Not so special was my son getting bitten by a Shetland pony. His sister will never let him live that one down. For dinner we caught the bus to Scalloway (which was the Island's capital until 1708) to dine at the award winning Scalloway Hotel. Situated on the waterfront, the restaurant has been awarded two AA rosettes - the first in Shetland to achieve this accolade. The seasonally changing menu showcases local produce, particularly fish, shellfish and lamb. We were dining in the restaurant but my daughter was delighted to be able to order macaroni cheese and sticky toffee pudding off the bar menu. My son on the other hand was totally up for the full fine dining option. They have a great Gin list so I kicked off proceedings with a Boe and Tonic whilst Foodie Loon went for a local beer from Lerwick Brewery. To start with I opted for King Scallops, Lobster Ravioli, Tadka Dahl, Crispy Masala Shallot Rings, Raita. The subtle Indian touches combined fantastically well with the sweetness of the shellfish. Boy also went fishy with Salmon, Crab and Salmon Roulade, Shellfish Bisque, Crab Stick, Sea Herbs. Again an amazing flavour combination, especially the flavoursome bisque. Isle of Mull Cheddar Souffle and Chicken Liver Parfait completed our starter selection. The menu was small but perfectly formed with 4 each of starters, mains and deserts. In addition we enjoyed amuse bouche and sorbet courses. Moving on to the main event I was a wee bit disappointed not to see lamb on the menu but instead opted for more fish. Halibut, Oxtail, Cavalo Nero, Colcannon, Bordelaise. Foodie Loon went for a dry aged Ribeye which was cooked to perfection and served with Pomme Puree, Confit Garlic Onion Soubise and a Horseradish and Truffle Cream. Hand-cut chips to accompany were of course a must, although I'm not quite sure how many he got as we all dived in to try them. It was my son's dish of Pork Belly, Black Pudding Crumb, Roast Apple Puree, Pomme Anna, Sage & Cider Sauce that really had me drooling. Under duress he did allow me a couple of forkfulls and it was absolutely divine. Somehow there's always room for dessert and whilst boy and girl tucked into Sticky Toffee Pudding and a perfectly cooked Chocolate Fondant, Chocolate Soil, Milk Chocolate & Praline Ice Cream the grown ups each selected three cheese from the seven on the cheese menu which were accompanied by homemade chutney and oatcakes. Along with a glass of red it was the perfect way to round off a sublime meal. Our final day in Shetland saw us packing up and checking out of Corbie before heading north to Northmavine and Eshaness Cliffs. It was fascinating to drive through the narrow Mavis Grind where you, allegedly, with a strong arm, could throw a stone from the North Sea to the Atlantic. At just 33 m wide, Vikings used to drag their boats across instead of sailing around the end of the island.We headed onwards to the dramatic cliffs and lighthouse at Eshaness where the plan had been to do a circular walk, however the inclement weather put paid to that idea so instead we did a bit of exploring taking in Stennes Beach and Johnnie Notions Bod before heading to Braewick Cafe for Sunday Lunch. Back in Lerwick we spent our final few hours in Shetland at the Museum and Mareel Cafe before boarding the NorthLink Ferry and the overnight sailing back to Aberdeen. Suffice to say we thoroughly enjoyed our four day Edible Shetland Adventure and our taste of the Shetland Isles. We managed to cram a lot into a long weekend but really only scratched the surface of what is on offer. If you missed part one of our trip be sure to catch up at Edible Shetland Adventures with Northlink Ferries - Lerwick. Disclosure: We sailed, stayed and ate as guests of Northlink Ferries, Self Catering Shetland, The Scalloway Hotel and Visit Scotland. All other adventures were at our own cost. As always, all views expressed are my own. It's the furthest north you can go in Scotland, made up of more than 100 islands. 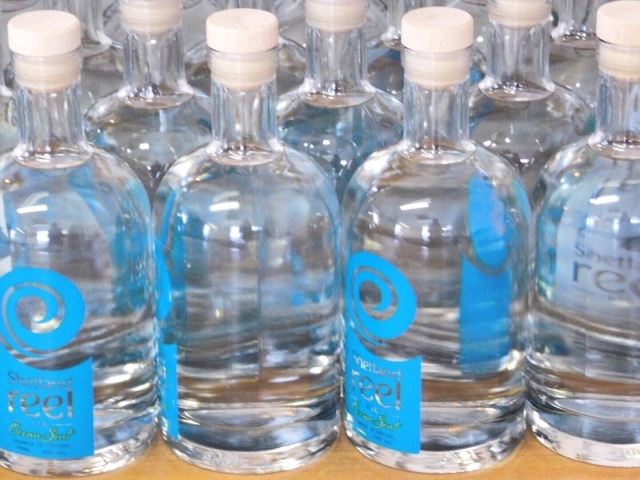 Am intrigued by the sound of Apple Mint used as they key botanical by Shetland Reel Gin. Adding that to the list to try / review. And oh how close you got to the puffins! That's on my "bucket list" as people tend to call it - I just think of it as my wish list! A good camera lens was what got me close to the puffins if truth be told but they were indeed a truly magical #bucketlist thing to see. Thank you SO much full pulling our 4 day schedule together. 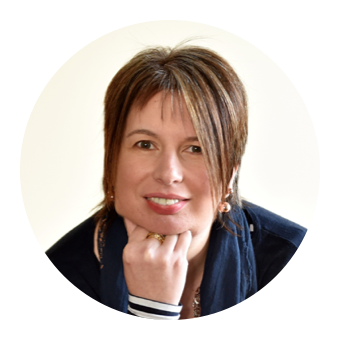 We'd never have fitted in so much into such a short period of time without your local knowledge and expert guidance. Really appreciate it and so lovely to see you again. Oh gosh that's a shame! We love the whole adventure of a ferry trip although we did come fully equipped with sea bands and anti sickness tablets to be on the safe side. Glad you enjoyed it vicariously. Do you find gin everywhere you go? Amazing. I've never been up that way, I'd love to visit Shetland. Sounds like you had a fab trip! Erm in a word... YES! It really is the best souvenir. 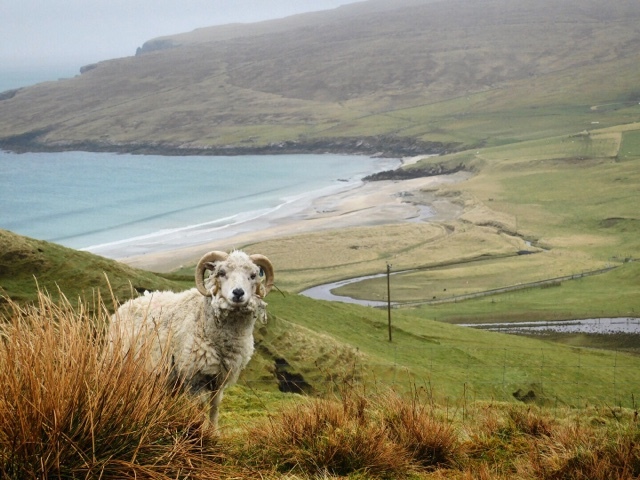 but in the end they did fall in love with Shetland just as much as I did. Great food and puffins! Sounds like a great place to visit. Just keep your hands out of the vicinity of the pony's mouth and you'll be good! This all looked and sounded amazing. That vintage tea room looked amazing! Actually all the food involved in this post looks amazing. But I am not too keen on mussels, but I am sure they were delicious too.